Our handmade ceramic pencil cup is not only a beautiful gift – it’s practical, too! Of course you could keep pencils in it, but why not think bigger? 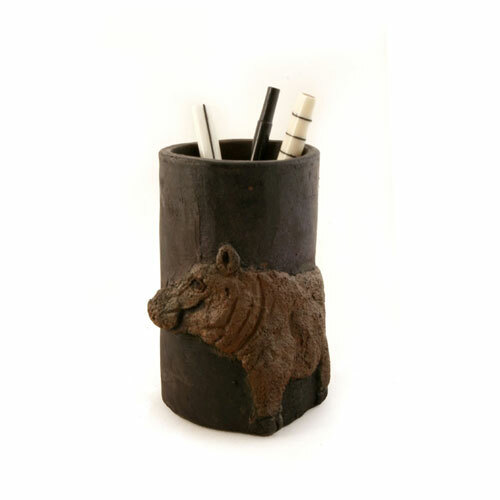 Toothbrushes, kitchen tools, or crafty items like paintbrushes or scissors would fit handily inside this hippo cup. Handmade in Kenya of clay and paint. Measures 3″ in diameter and 5 1/2″ high.